We've enjoyed the most amazing first term in Reception and we've been very busy doing lots of exciting things. 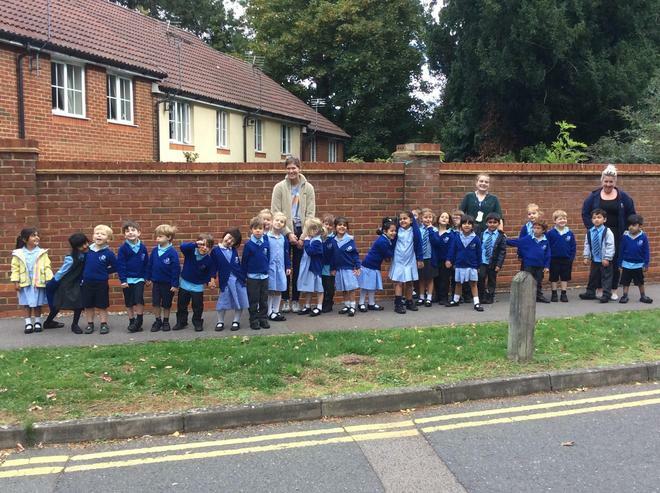 Our very first school trip was a walk along Wattleton Road where we looked closely at the different types of houses and all the different road signs and markings. We also took a walk around our school grounds looking for signs of autumn. We collected leaves, pine cones, acorns, seeds and berries which we used to make autumn pictures.